Serving Salem for over 49 Years! Chuck Dabler grew up in an era with a love for cars, and graduated from OTI with degrees in auto body repair and business. In 1967, he started a Volkswagen dealer shop on Lancaster Drive, with the help of the Eyerly family. 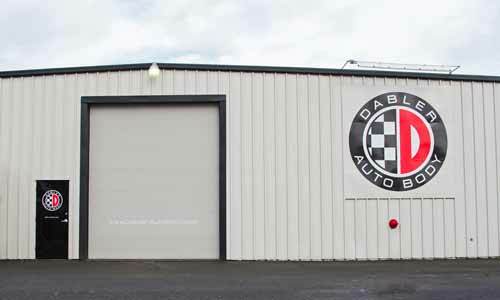 Rapid growth from the Volkswagen-Porsche-Audi shop necessitated the need to build a state of the art, over 8,000 square foot facility.In 1977, he moved to this current location and Dabler Auto Body became the family-owned business it is today! Whether it’s dent repair, paint, aluminum repair, R.V. Repair, or frame and uni-body straightening, the Dabler Team has you covered! Dabler Auto Body Inc is located at the address 1465 Sunnyview rd Ne in Salem, Oregon 97301. They can be contacted via phone at (503) 585-8066 for pricing, hours and directions, or you can check our contact page for more info.